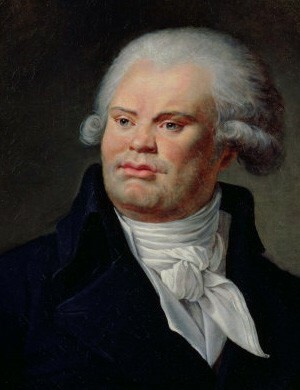 Georges Danton (1759-1794) was one of the towering figures of the French Revolution. Born near Troyes, Danton’s father was a local prosecutor but a generation further back his family had been peasants. Danton’s parents wanted him to enter the priesthood but he chose to follow his father into law. By the mid-1780s he was working as a defence lawyer in Reims, before buying a venal office and relocating to Paris in 1787. Unlike other notable revolutionaries Danton did not participate in the Estates General, however in the summer of 1789, he volunteered to serve in the National Guard. In October of that year, he founded the Cordeliers club, the most radical political club of the time. Danton’s compelling and witty oratory saw him rise to become the club’s president and attracted a measure of public popularity. Unlike his fellow Cordeliers, who were mostly Republicans, Danton’s views about the monarchy were vague. He could be a sharp critic of the king yet showed little inclination to support a French republic. Following the flight to Varennes, Danton argued for the forced abdication of Louis XVI in favour of his young son, with the Duke of Orleans acting as regent. It later emerged that Danton, who lived extravagantly, was accepting payments from Orleans and possibly other Royalists. Surrounded by doubts about his political loyalties and accusations of corruption, Danton travelled to England for several weeks in mid-1791. He returned to Paris to stand as a candidate for the Legislative Assembly but failed to win a seat, though he remained popular and influential in the Paris sections. In January 1792 Danton took a position as the Paris Commune‘s deputy prosecutor. Through provocative speeches in the Cordeliers club, he helped spark the overthrow of the monarchy on August 10th 1792. The following day Danton was appointed minister of justice in the provisional government. Four weeks later, on September 2nd, Danton delivered a public oration, calling on the people to “be bolder” and mount a “charge against the enemies of our country”. Many believe this speech was responsible for inciting the September Massacres. Danton was elected to the National Convention and became arguably its dominant figure. His powerful speech making made him a formidable leader on the floor of the Convention. During his time in the legislature, Danton voted for the execution of Louis XVI. He also had a hand in the formation of the Revolutionary Tribunal and the Committee of Public Safety. Despite being opposed to the Revolutionary War at first, Danton threw himself into coordinating and supplying the war effort. Danton spent several weeks away from politics, returning in late November 1793 to stand against the escalating Terror. Around him in the Convention was gathered a moderate faction, later dubbed the Dantonists or Indulgents. Danton and his followers called for a retraction of the Terror, peace negotiations with foreign powers and the restoration of the Declaration of the Rights of Man and Citizen. His political opponents responded by raising long-standing allegations about Danton’s corruption and bribe-taking. Danton and his followers were linked to the discredited Honore Mirabeau; to a scheme involving forged assignats; and to an insider trading scandal involving the French East India Company. Though not directly implicated, there was enough evidence of wrongful dealing to cloud Danton’s reputation and cast doubt on his motives. Many believed that Danton was attempting to halt revolutionary change in order to install himself as a political leader, if not a king. The backroom conspiracies gathered pace in early 1794. Danton and several of his associates were arrested on March 29th and charged with corruption and attempting to restore the monarchy. He was thrust before Paris’ Revolutionary Tribunal four days later but it was no one-sided affair: Danton was a creator of the tribunals, one of the revolution’s best lawyers and probably its best orator. He drew on his legal cunning and powerful turns of phrase to condemn Robespierre, the deputies of the Convention, the men of the CPS and the Tribunal itself. He discredited the evidence raised against him and denounced the proceedings as a political show trial. When it seemed that Danton might win the day and gain an acquittal, the Convention began exerting pressure on the Tribunal’s judges. Danton was eventually silenced and found guilty. On April 5th the ‘Mirabeau of the marketplace’, along with 14 of his political supporters, were sent to the guillotine. “My only regret is that I am going before that rat Robespierre” were some of his final words. 1. 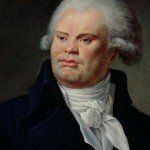 Georges Danton was a lawyer turned political figure who became one of the French Revolution’s most influential and significant leaders. 2. Both a skilled lawyer and a powerful public speaker, Danton abandoned law and became involved in both the Cordeliers Club and the Paris Commune. 3. Danton’s speeches contributed to the August 10th 1792 insurrection and the September Massacres, after which he was elected to the National Convention. 4. Danton supported the establishment of both the Revolutionary Tribunals and the Committee of Public Safety – but over time his views moderated and he came to oppose the excessive violence of the Terror. 5. 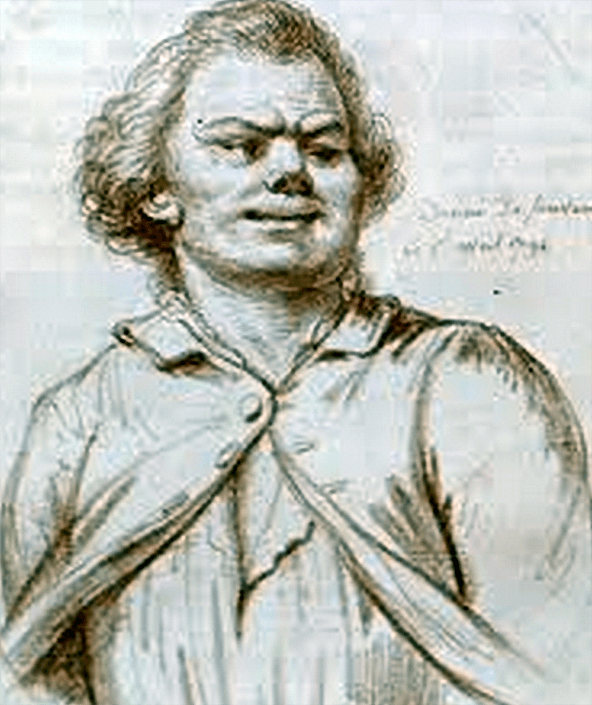 Concerned by Danton’s moderate politics and the threat he posed to their power, Robespierre and the Jacobins orchestrated his arrest, trial and execution in April 1794. 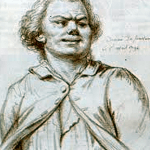 J. Llewellyn and S. Thompson, “Georges Danton”, Alpha History, accessed [today’s date], https://alphahistory.com/frenchrevolution/georges-danton/.